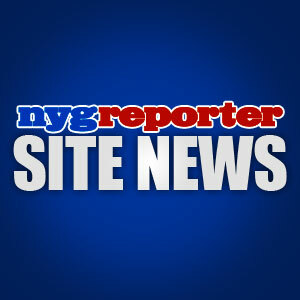 NEW YORK – Many Giants fans got a big surprise yesterday when they tried to visit the New York Giants website. The Giants have removed there old website in favor of a new one. During the late afternoon yesterday, the changeover occurred. The site looks wonderful aesthetically and appears to have a lot more video for fans to watch. It came as a surprise to most fans because there was no notice of the change prior to it happening. The functionality and overall shine of the website is much improved and fans will like the way it looks. There appears to be a clear cut programming schedule for Giants web events and shows. I like this format but hope they will also allow for some spontaneity in content. A couple of issues have upset some fans (I’ve been getting emails and messages via twitter about this). The biggest one is the fact that fans have completely lost their old accounts. Giants fans will have to create an entirely new account, complete with screen name and password. Another change that was a bit of a let down, is the fact that there will no longer be any Giants fan blogs allowed. I think this will prove to be a big mistake because fans were really enjoying the ability to interact with each other. The old school message board that still remains has become outdated and unfulfilling after experiencing the fun of having used the other format. Also, if you had contributed any articles or stories to the old website, you have lost all of your work because it was deleted during the change over. Some fans would have liked the opportunity to save those stories for their personal archives. In summary, I think Giants fans will eventually learn that the new website is a great source for Giants news and information. It has removed the fan interaction aspect, which I still believe is a mistake. By separating themselves from the fan in the age of social media, the Giants have clearly transformed the website into a two dimensional news destination instead of a thriving fan community. Instead of removing the fan interaction, I would have generated and encouraged more interaction between the fans, players, staff and writers. I understand that fans can still use facebook or twitter but why give away all of that web traffic when Giants.com could be the place to be? The evolution of modern sports websites will only occur when they realize that they have the power and stop relinquishing it all to these third party websites. They need to stop using the main website to export popularity to these third party websites and start using the third party websites to import more fans to them. Of course, this is only my opinion and social media philosophy. What do you think about the new official website for the Giants? Do you prefer the new style or the old one? This entry was posted on Thursday, June 30th, 2011 at 7:48 AM and is filed under 2011 Fantasy Football, 2011 New York Giants, 2011 NFL Lockout, 2011 NFL Minicamp, 2011 NFL Preseason, 2011 NFL Regular Season, 2011 NFL Training Camp, Big Blue, Chris Mara, East Rutherford, Eli Manning, G-Men, Giants, Giants Coaches, Giants Draft, Giants Front Office, Giants History, Giants Mini Camp, Giants Roster, Giants Stadium, Giants Training Camp, Jerry Reese, John Mara, Jonathan Tisch, Justin Tuck, Kevin Gilbride, New Jersey, New Meadowlands Stadium, New York, New York Football Giants, New York Giants, NFC East, NFL, NFL Lockout, NFL New York Giants, Nilay Shah, NY Giants, NYG, NYG Blog, NYG Exclusive, NYG Fantasy Football, NYG Minicamp, NYG Preseason, NYG Regular Season, NYG Reporter, NYG Site News, NYG Story, NYG Training Camp, NYG Website, nygreporter, Pat Hanlon, Perry Fewell, Steve Tisch, Timex Performance Center, Tom Coughlin, Tom Quinn. You can follow any responses to this entry through the RSS 2.0 feed. You can leave a response, or trackback from your own site. i will miss the old website,especially the blogging back and fourth with giant fans.i thought i made the grade when i actually got a comment from ny giant reporter,and the day after they crashed the old site.hope i didnt get to political over the lockout in my blogs,lol. Hey Bobby, I agree with you. I’m going to miss the old website too. I really wish they would have given us a little notice so we could have said goodbye to other members or saved our articles but I guess they have their reasons. The new site looks great but seems flat in my opinion because of the lack of user activity. It won’t be the same on the new site that is for sure. Enjoy the holiday weekend buddy. God Bless! PS – You are welcome to leave comments here on our website anytime you like, if you want to discuss a topic. You don’t have to be a member of nygreporter to do so. I saw how much effort you were putting into the old Giants website and how many articles you were putting out there for the fans. Good stuff man! I would have gotten personal contact info for some of the peeps I was communicating with. BlueG-Gal!! Hey, it’s good to hear from you! I completely agree with what you’re saying as well. I had made some new friends on the old site and would have liked an opportunity to exchange contact info with my friends. You are very welcome to comment on articles here and talk Giants football with us anytime time you like. I hope you enjoy the holiday weekend!! God bless! there we go robdomain,the cowboys releasing roy williams,theres that big receiver to add to our talented wideout list.marion barber just was notified he would also be released,looks like the g-men could use a running back also with jacobs and bradshaw up in the air.what a day already. The Cowboys are cleaning house, so expect them to dig deep for free agents. I would not want Roy Williams because I think his time has passed. He didn’t do anything with his time in Dallas. He was once a great WR but I think that time has passed now for him. tomorrow the chips fly at 6pm,g-men on the clock,where will plaxico end up.and if not with big blue,will they pick up a veteran like randy moss or will the giants just keep who they have at wideout.looks like the pats are going for an undefeated season by picking up haynesworth and ocho cinco,cool,lets see if the g-men could ruin that again for them down the road.i wonder if the giants would go after the guy that destroyed there season last year,desean jackson would look good in new york giant blue. I can’t wait for the business to begin. there is no way on God’s green earth that DeSean Jackson would even come to the Giants lol that is crazy talk but I like what you’re thinking. I’m really not worried about the WR group at all this year, I’m mostly worried about the offensive line. i know the desean jackson pipe dream will never happen,but its nice to dream.i do feel confident with our receiving core,i just want that cherry on the cake at 6pm,we know who that is.im sick that the steelers even have a shot,i know he knows both offenses and if it were any another team but the steelers,i would feel confident.the giants seem to be right there in the mix every year until the november december free fall happens,i just think the plax move we bring them to where they need to be to get over that hump,i sound like a broken record with this guy,but just knowing the g-men are right there again in the mix would make me sick to lose him twice. I would honestly be happy if we only had Nick, Smith and Manningham. Those three WR’s are right up there with the elite groups of young WR’s in the league. The only problem I see is the health issues but that has been plaguing the Giants for two years now as a team, not just the WR group. Still, I wouldn’t mind getting Plaxico back either as a fill in. less than an hour from 6pm,me and the only other 10 giants fans in naples florida are ready to bust waiting to see what happens.i feel like its almost 12 midnight on new years eve,i only hope i will be drinking champagne in celebration,i think that either way,the g-men are going to surprise a lot of people with there picks and congrats to jacobs,lets hope he finds his running form again,it was very classy of him to restructure. I’m right there with you buddy. I can’t wait to see what happens either. Hey, do you guys even head over to Ditka’s joint by Naples? they actually closed it up over a year ago,but it was a cool place.it turned into a buca de beppo,a chicago family style restauraunt. Oh that stinks, that was a cool place. I stayed at the 5th Ave Inn a few times when I visited Naples. I love that town! namdi asomugha,an eagle,i think were in trouble when we play the eagles with those corners. I read that too. the answer to Asomugha is a 4 WR set all day while the Eagles blitz like crazy. Let Easy Eli do his play action pass work and we should be fine. In my opinion of course. although if we get plax,i think he could play with any of the eagles corners,now we need him to be in contention with these guys.the eagles are big winnners in this free agency frenzy.but i think the g-men could pull some rabbits out of there hats in the end. I’m actually a bit nervous that Plaxico might bolt for the Eagles now. you took the words right out of mouth,its like your watching reporters 24/7 and there all talking 100% of a player going to a team,and then all of a sudden the eagles make a last minute pull the rug out move.i feel the same way,the nightmare that the eagles organization signs plax.i will keep a gooid thought until then.have good weekend buddy,i have some nightime work ahead of me for the weekend,if anything pops let me know.but i will be back on the blog early monday.lets hope we have all the Ts crossed and the eyes dotted by by then. The reports are saying that the meeting went well. I’m going to bed early tonight buddy, I’m beat tired lol tomorrow is another day! Enjoy the weekend! before i head to work tonight,i have to say that i think the g-men are going to get the rug pulled out from under them in the plax telethon.it seems the big hour long meeting with coughlin and eli being reluctant to be overwhelmingly delighted to have him back,combined with the lunches and 6 hour stay in pittsburgh country has the g-men out of it.then just to add insult to injury,the eagles jets and rams now all have a shot.thats why i said that i had already made peace with the fact that he wasnt going to be with big blue weeks ago,its like getting screwed twice.if he goes anywhere,all i ask is he dont play within the giants division.i think the giants dropped the ball big time on a guy they desperately needed,even with our talented young guns,we needed the extra shot in the arm on offense and plax was it.the giants ego ruined it.not a happy camper today,besides the fact that all these super moves were supposed to go down yesterday and it seems like the eagles are the only ones making moves to better there team,,and the g-men are trading away theres. I think that Eli and Coughlin are being low key with Burress because he has burned them before. Eli might still harbor some ill will because Plaxico let the team down back in 2009 when they were like 10-1 and Burress shot himself in the leg. We all know how that season ended and coughlin hasn’t pull any punches at all about his feelings. They both probably feel he will disappoint the organization again so they are being cautious. latest update from scott hanson,possible trade of plaxico to the eagles.the eagles built the dream team that turns into the giants nightmare. If the Giants are healthy, they are the scariest team in the NFC East, period, in my opinion. as you can see,im not a glass half full guy.already im thinking the end is near without the season even beginning yet.i just cant believe the eagles are making these moves and the g-men are just sitting back speculating with a bunch of rookies on the roster going into 2011.i thought the giants would look at that desean jackson debacle game as a chip on there shoulders to do anything to get back at them.and we cut our whole o-line to make room,yet here they are 24 hours later with no news on picking up anyone.oh yeah,osi at least isnt holding out anymore,i guess thats one good thing.cant see us competing with philly,and if vick goes down,vince young could run that offense with the guys they got. We’ve got to see how the Jerry Reese plan unfolds. Also we have to remember that the G-Men were $6 million dollars over the cap limit when they started making moves. They really don’t have the money to do anything crazy. the smartest move is keep the star players we already have and try to bring in one or two guys. The rookie draft class is going to shock a lot of people man. Wait until you see Prince and Austin on the field. thanks robdomaine,you did put me at ease tonight.i will keep good thoughts over the weekend,hope you dont have to talk me off a cliff during season lol. Hey Bobby, it’s my pleasure buddy. I always love talking about Giants football. Just be sure to speak on the most recent article when you open up the site. It makes it much easier to find your comments lol thanks buddy!